When I opened the bottle to get a whiff of the scent, I felt like I was lost on a beautiful island. 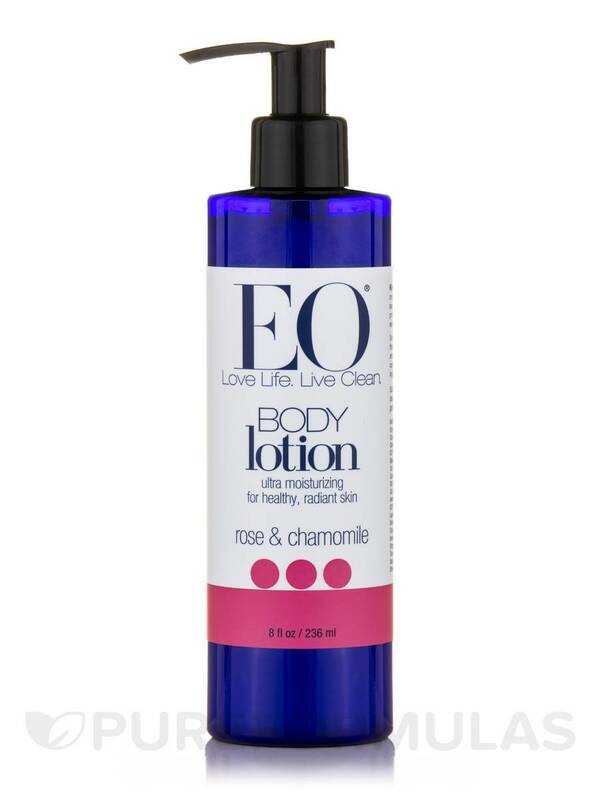 Body Lotion, Rose & Chamomile by EO Products is so lively and romantic, reminds me of late night evenings on the beach. I can't stop smelling it! Ultra Moisturizing for Healthy‚ Radiant Skin! Soak it in. 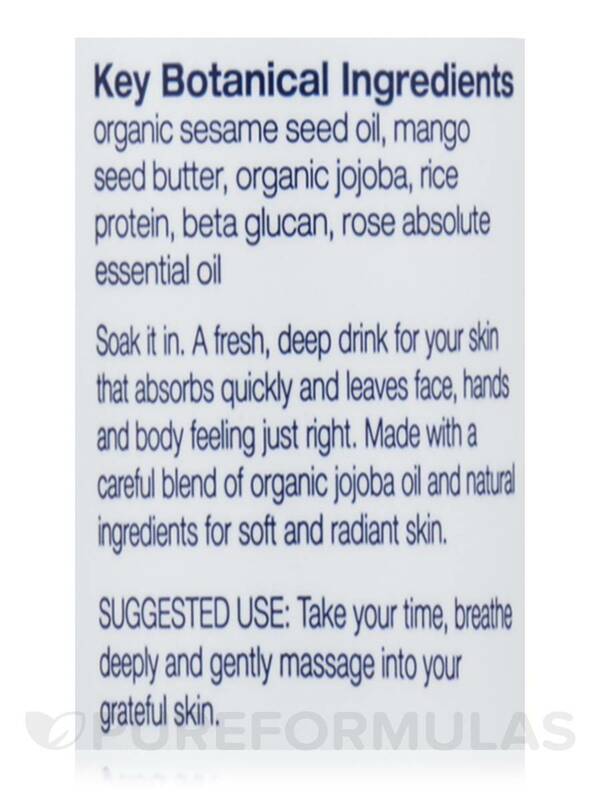 A fresh‚ deep drink for your skin that absorbs quickly and leaves face‚ hands and body feeling just right. 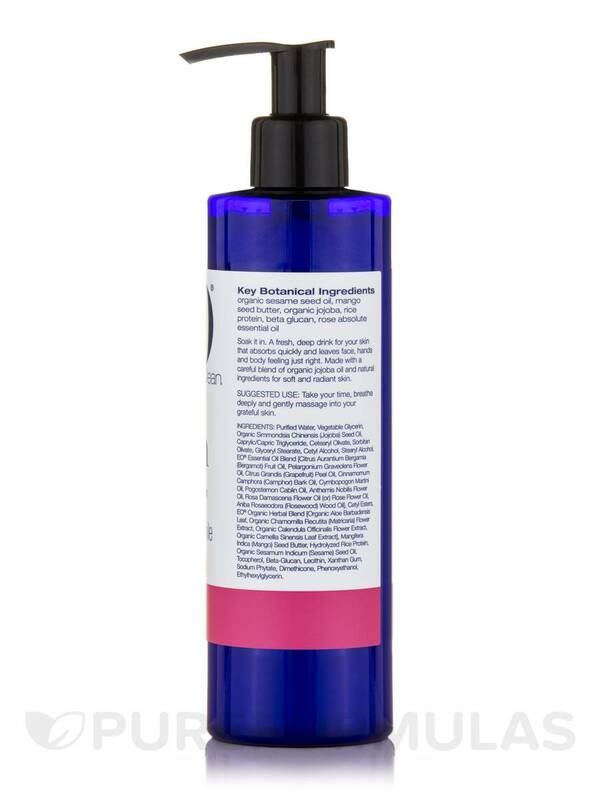 Made with a careful blend of organic jojoba oil and natural ingredients for soft and radiant skin. Purified water‚ vegetable glycerin‚ organic simmondsia chinensis (jojoba) seed oil‚ caprylic/capric triglyceride‚ cetearyl olivate‚ sorbitan olivate‚ glyceryl stearate‚ cetyl alcohol‚ stearyl alcohol‚ EO® Essential Oil Blend [citrus aurantium bergamia (bergamot) fruit oil‚ pelargonium graveolens flower oil‚ citrus grandis (grapefruit) peel oil‚ cinnamomum camphora (camphor) bark oil‚ cymbopogon martini oil‚ pogostemon cablin oil‚ anthemis nobilis flower oil‚ rose damascena flower oil (or) rose flower oil‚ aniba rosaeodora (rosewood) wood oil]‚ cetyl esters‚ EO® organic herbal blend [organic aloe barbadensis leaf‚ organic chamomilla recutita (matricaria) flower extract‚ organic calendula officinalis flower extract‚ organic camellia sinensis leaf extract]‚ mangifera indica (mango) seed butter‚ hydrolyzed rice protein‚ organic sesamum indicum (sesame) seed oil‚ tocopherol‚ beta-glucan‚ lecithin‚ xanthan gum‚ sodium phytate‚ dimethicone‚ phenoxyethanol‚ ethylhexylglycerin. 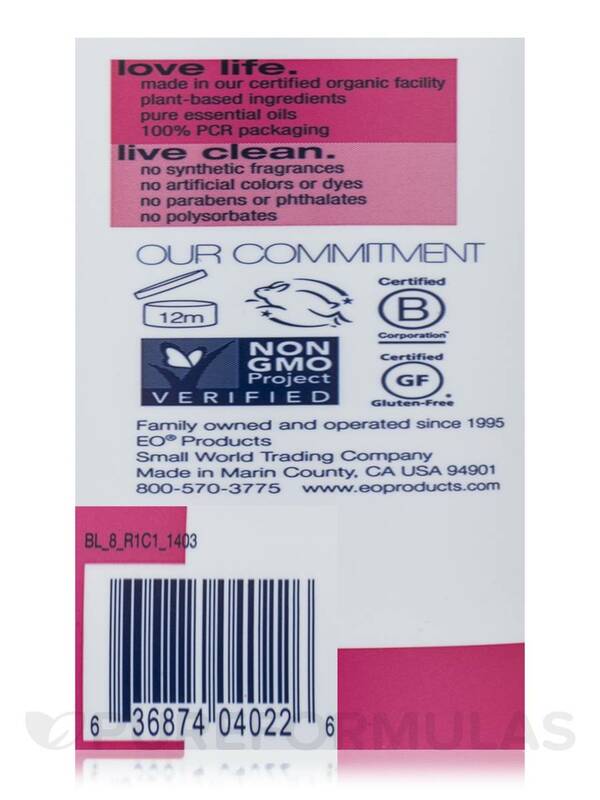 No Synthetic Fragrances / No Artificial colors or dyes / No Parabens or phthalates / No Polysorbates / Cruelty-Free / Non-GMO Project Verified / Gluten-Free. 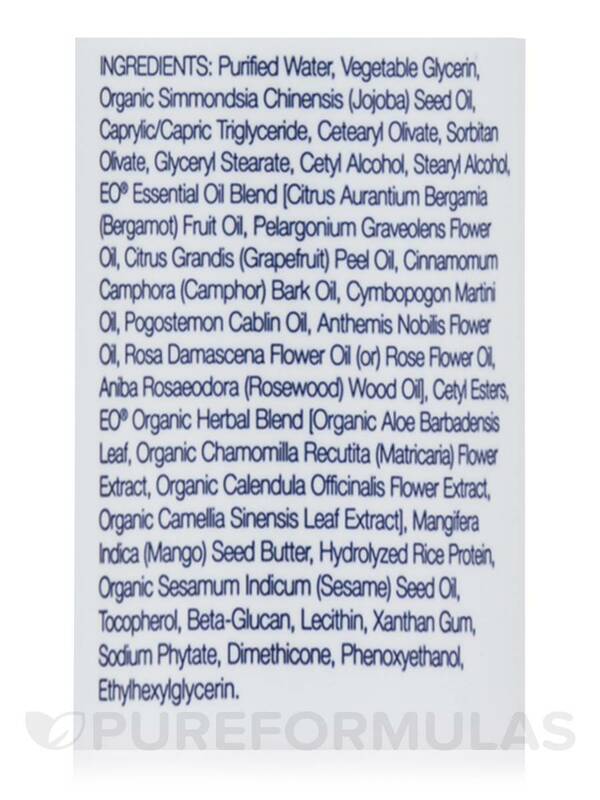 Plant-Based Ingredients / Pure Essential Oils / 100% PCR Packaging. Take your time‚ breathe deeply and gently massage into your grateful skin. Everything is 100% Organic and Natural!